Traditional cross country weather and conditions greeted the PACE athletes who competed at the 10th Cross Internacional de Atapuerca in Spain. Heavy rain and strong winds combined with a near freezing temperature meant the athletes knew they were for a tough afternoon. In the mens race Emmanuel Bett (KEN) and this years World Cross Country Championships fifth place finisher Timothy Toroitich (UGA) were always in contention at the head of the field. Just before halfway it was Bett who upped the pace and whittled the lead group down to six. These six battled around the final lap until Imane Merga (ETH) put in a decisive burst just 300m from the finish to take a one second victory over Bett. Toroitich finished in 4th place just 4 seconds behind the winner. 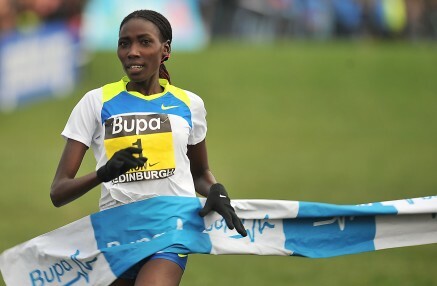 Linet Masai (KEN) was also involved in the action at the front of the womens race. In a repeat of last year Masai and Hiwot Ayalew (ETH) traded the lead as they tried to break away from each other. As the athletes had to negotiate the tricky hurdle section 900m from the finish it was Ayalew who got the decisive gap and Masai had to settle for second. However, it was still an encouraging opening to her European cross country campaign as she continues her comeback from injury.